The committee of the 2nd Papua Film Festival (FFPII) finally declared the best ten documentary films from submissions received. 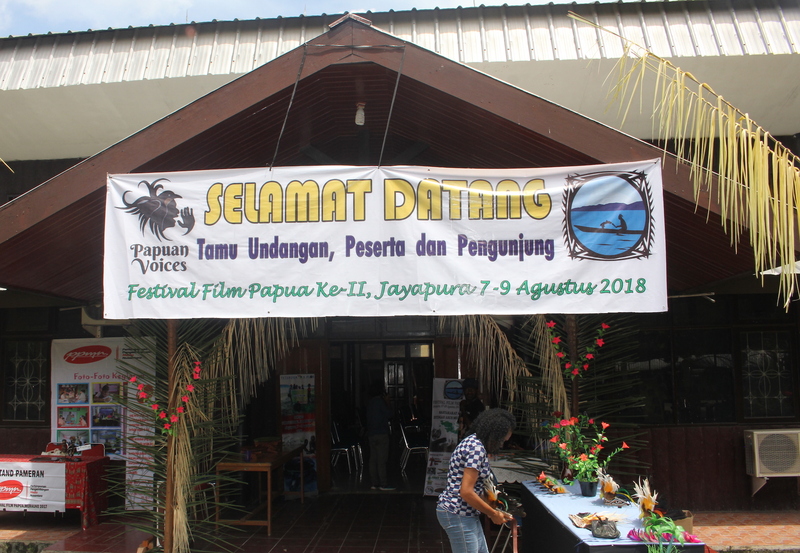 These films will be highlighted and screened at the upcoming festival which will be held from 7-9 August 2018, in the capital of Papua province Jayapura. The theme of this year’s festival is “indigenous Papuans struggling in the face of modernization”. A four-member jury council consisting of Wensiaus Fatubun, Veronika Kusumaryati and Zadrak Wamebu selected 10 best films from the submissions. Last month, a total of 19 films from various regions of Indonesia – from Asmat, Wamena, Jayapura, Keerom, Supiori, Biak, Jayapura City to Jakarta had been submitted. The assessments were divided into two parts – technical and non-technical aspects. the technical aspects included shooting technics, clarity of film, clarity of sound, and editing. While the non-technical aspects included ways of telling stories, the storyline itself, clarity of information, and the strength of the issues raised. by Nelson Lokobal ( Wamena ). On the last day of the festival, the best three films will be announced.